We've learned that normal people love naming their babies after rappers, but some rappers like to take things one step further. Move over, Blue Ivy Carter and North West — Chicago trap great Chief Keef has come up with the weirdest baby name yet, and it's directly tied into some album promotion. As DNAInfo reports, Keef's new baby has been named Sno FilmOn Dot Com Cozart. While Sno is actually a pretty adorable name for a little boy, the middle section is the most questionable part. The baby has been named after Keef's current record label, FilmOn.com, which is owned by billionaire Alki David. 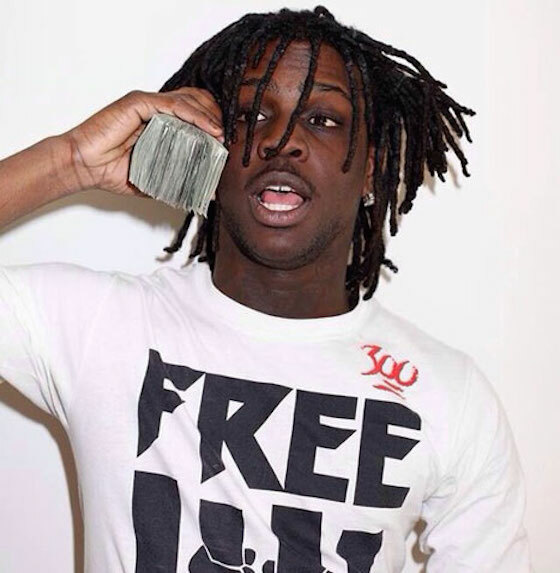 Owen Phillips, a spokesman for the label, said, "Alki David has announced that Chief Keef and his newest baby mama have agreed to name the newborn Sno FilmOn Dot Com Cozart in order to promote the release of Sosa's double album Bang 3 with FilmOn Music and MondoTunes on September 18." We've witnessed a lot of gross self-promotion over the years, but this one takes the cake. Hang in there, Sno.